There’s nothing like having fresh herbs to add to spring and summer meals. But every so often I’m looking for fresh oregano, thyme or basil to add to a dish, and have to walk out to the garden to harvest it. Why not bring the herbs closer to the kitchen? 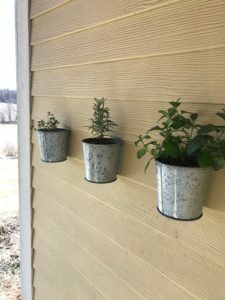 A vertical herb garden is a great way to have them close by, and ready to use. To grow herbs in containers hanging on a wall, start with herbs that are manageable in small pots. Herbs such as thyme, parsley, oregano, and chives stay small, so are perfect for wall growing. Cascading herbs, such as prostrate rosemary and mint, work well, too. Here’s what to do. Select a container with drainage holes if you’re growing the herbs on an outdoor deck, balcony or patio. For an indoor vertical herb garden, select a pot that will catch any runoff water so it doesn’t drip on the floor. Plastic pots are the most obvious choice, but you can get decorative with metal or antique pots indoors, too. Find a sunny spot indoors and place VELCRO® Brand HANGables® Removable Wall Fasteners to the wall and the hook to the back of the pot. Attach the pot to the wall. 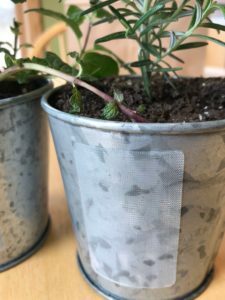 These removable wall fasteners make removing the pot for harvesting and watering easy because it’s simple to reattach. Alternatively, you could use a VELCRO® Brand Extreme Outdoor Fastener. 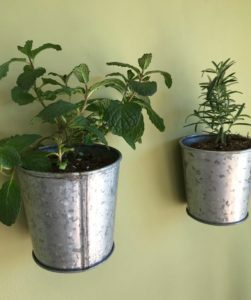 Find a sunny spot outdoors and place the hook on the back of the pot and the strip to the outdoor wall. Extreme Outdoor Fasteners will adhere to most outdoor surfaces, such as wood, metal, and concrete. 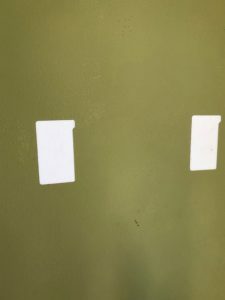 Like the VELCRO® Brand HANGables® Removable Wall Fasteners, it’s easy to remove the pot for maintenance and reattach it to the wall. Harvesting your vertical herb garden often is important to keep the herbs producing more leaves and shoots and to keep the plant small. 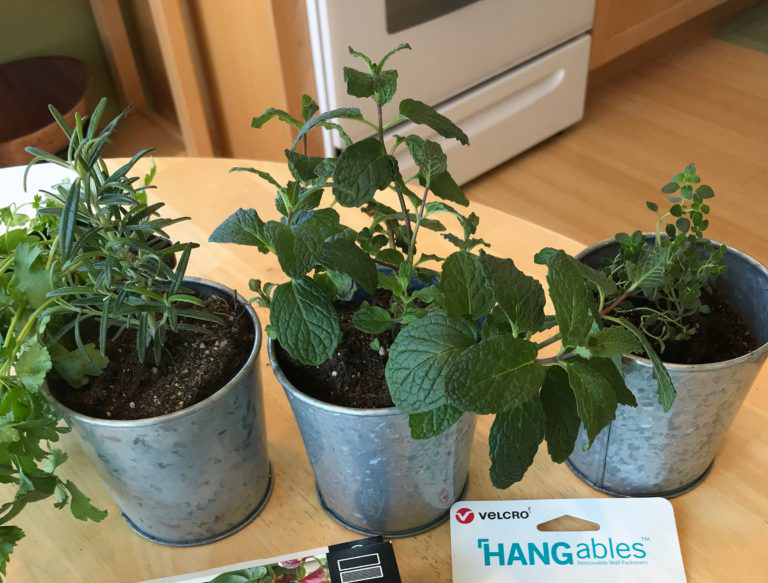 Simply by hanging your herb containers in the air with VELCRO® Brand products, you can have fresh ingredients for your favorite meal a few steps away. Let us know if you have a go at making your own DIY herb garden! And for more of Charlie Nardozzi‘s expert gardening tips, stay on our blog!